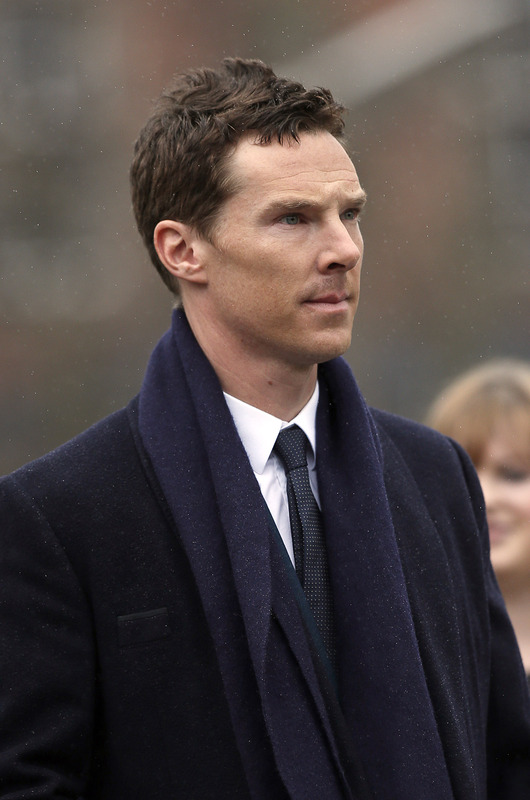 After a busy year, Benedict Cumberbatch has deservedly backed away from the spotlight a little. That's not to say he's disappeared entirely. The Oscar-nominated actor is one of the "it" stars today and he's in demand even in other countries. So where has Benedict Cumberbatch been lately? Well, when he's not busy being turned into chocolate, he's been traveling the globe. In the past few months he's gone from America (to complete the awards-show circuit), then to Bora Bora for his honeymoon, then back to England to read a poem at Richard the III's funeral, and most recently Cumberbatch has been in China. The actor was in Shanghai for a couple of reasons. Apparently Cumberbatch is participating in the UK-China Year of Cultural Exchange, so he headed over to show his face at several events. Cumberbatch showed up Wednesday to host the Laureus World Sports Awards for the second year in a row. (Who knew Cumberbatch was such a fan of athletics?) But the Sherlock actor also attended a press conference announcing some pretty exciting news. The actor recently signed a deal with MG Motors to be their ambassador, and his participation came with an excellent Sherlock-themed car commercial unveiled earlier this week. But even when traveling it's clear there's only one thing on his mind: his baby. Cumberbatch's child is reportedly due this summer, and he couldn't be more excited. During the MG Motors press conference he couldn't stop talking about his baby to be and how overjoyed he is to become a father. I think what children do is enhance your life, they don't inhibit it. They don't limit it, they give you inspiration and depths of understanding of the human condition and what it is to be on this planet and what our purpose is. Cumberbatch also mentioned several other famous fathers that are an inspiration to him when he's worrying about maintaining a work/life balance. “I think there are plenty of good actors who are fathers. I mean, you only have to look at Daniel Day-Lewis as an example," he said. "And a lot of my dear friends: Mark Strong ... [and] Martin [Freeman] is another example who springs to mind, who managed to balance a home life and a work life." Even though his child hasn't been born yet, the baby is never far from Cumberbatch's mind — no matter how far away from home the actor may be.